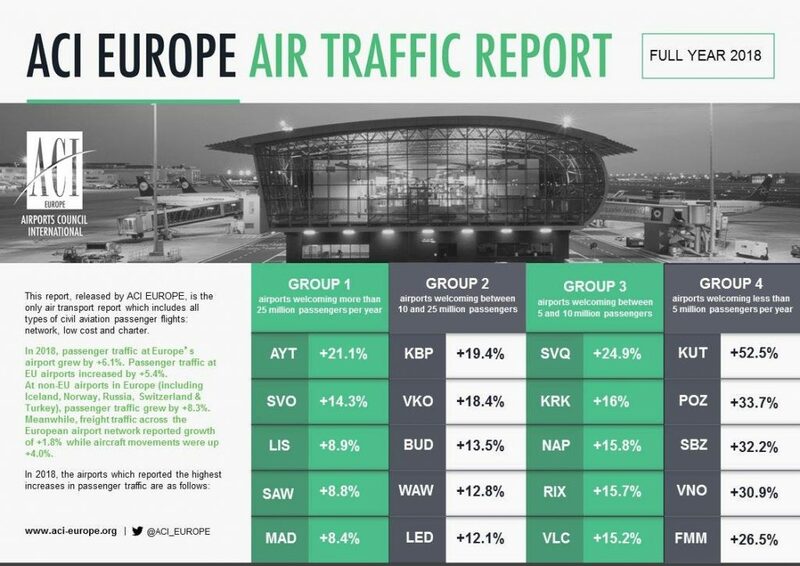 The Kutaisi International Airport went to the first with respect to passenger flow increase in Europe based on the data of Airports Council International Europe (ACI Europe). According to ACI Europe, in 2018 the passenger flow at Kutaisi airport was increased by 52.5 % in comparison to the last year. Kutaisi has the best results among the European airports welcoming less than 5 million passengers per year. Kutaisi is leading in the December 2018 data. Compared to December 2017, the increase in passenger traffic reached 127 %. Batumi Airport also fixed 66 % increase during December 2018 (compared with December 2017). According to the press release of Airports Council International Europe, the flow of passengers at Tbilisi International Airport was increased by 20,4 % in 2018.